Where is the best place to live in the world if you’re an older person? The third Global AgeWatch Index – which measures the quality of life of older people around the world – reveals some of the best and worst places to grow old. 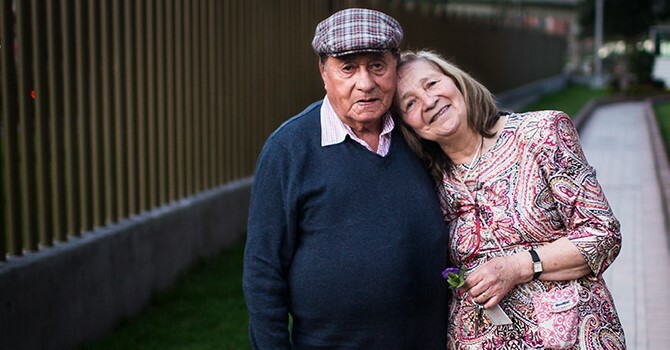 Age International is calling on UK and global governments to address inequalities facing older people within the new Sustainable Development Goal framework. The UK performed well in the social environment category (third overall), but slipped from 11th to 14th in ‘income security.’ The UK has seen the most progression in the ‘capability’ domain for education status and employment levels, moving up three places from 23rd to 20th. The Index, which ranks 96 countries, measures wellbeing in four key areas: income security; health; education and employment opportunities; and social connectedness. Unsurprisingly, countries whose governments have invested in population ageing and are planning for the future top the Index. These countries score highly in all four areas, have social pensions, accessible healthcare, flexible working as well as life-long learning and have created an enabling environment for all ages. All regions as included in the Index are represented in the lowest quarter of the Index, with countries in Africa making up half of those with low income security rankings and poor health results. Greece (79), Venezuela (76) and Turkey (75) are in a similar position to sub-Saharan African and Asian countries. Globally, the proportion of older people is growing. By 2050, 46 of the 96 countries in the Index will be classed as hyper-ageing, with 30 per cent or more of their populations aged 60 and over. However, comparative international data on basic indicators are only available for 96 countries; 98 countries could not be included due to a lack of data. Poverty rates in old age are missing from international data sets in at least 93 countries and in Africa, data were only available for 11 out of 54 countries. ‘Millions of older people are invisible, living their lives in countries where information on the quality of older age and the experience of ageing is missing from international data sets,’ said Chris. This year, the Index shows that the gap in life expectancy at age 60 between countries at the top and bottom of the Index has widened from 5.7 years in 1990 to 7.3 years 2012. This inequality will grow without more focus on older people and better targeted policies. Gender inequality in older age is also pronounced. The combination of a lifetime of gender discrimination, combined with inequality in old age can have a devastating effect on older women. Globally 46.8 per cent of women aged 55–64 are economically active, compared with 73.5 per cent of men. In addition, women usually earn less than men, so opportunities to save for later life are limited, increasing their risk of poverty in old age. Chris concludes: ‘With the increasing number of older people and longer life-spans, the urgency for international planners to prepare for ageing populations is growing. Later this month, governments will be signing up to the UN Sustainable Development Goals (SDGs), committing us to universal goals and targets until 2030. These goals provide an excellent opportunity for governments around the world to think ahead and make the commitments that will improve the economic and social wellbeing of those in later life. The 17 goals and 169 targets of the SDGs will be adopted at the United Nations at the end of September. By the time they reach their fruition in 2030, the proportion of people aged 60 and over, globally, is predicted to rise to 16.5 per cent, up to three-quarters of whom will live in developing countries. For more information or interview requests please contact Sara Guy sara.guy@ageinternational.org.uk, 020 3033 1466. The Index provides an overview of the quality of life experienced by older people in 96 countries. A dashboard of thirteen separate indicators has been put together under the four domains of income security, health, capability and enabling environment. Together this information measures the economic, social and political elements that interact to create a healthy environment for later life. The Global AgeWatch Index has been created because of the overall lack of information on ageing combined with poor understanding of the effects of ageing on exclusion and marginalisation in services such as health care, education, training and pension provision. Age International can develop stories, provide case studies and organise media visits to undertake feature stories relating to the Index.